The Hotel Spartak is situated in a picturesque place near the center of Kiev and main transport line. 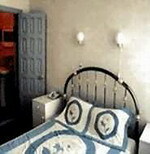 The Hotel Spartak offers 20 standard rooms and 4 semi-suites (apartments). All the rooms feature a telephone, TV, mini bar, and bathroom. There is an exchange office in the lobby of the hotel, and secured parking is at your disposal. 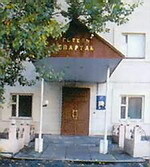 Meetings can be conducted in the Spartak Banquet hall (100 seats) where the services of fax and copier can be provided. There is a bar with a large selection of beverages and a restaurant with a fine cuisine.